Photo captures flooding conditions on the river. 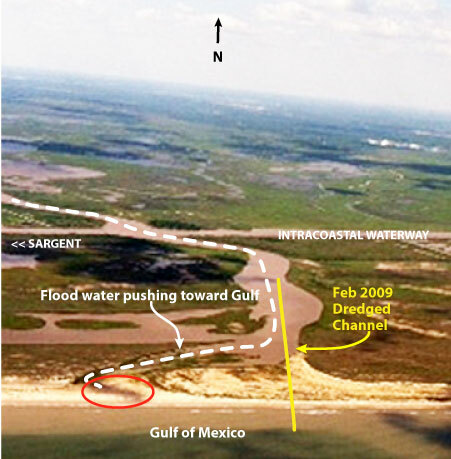 The current almost pushes through the sand (red circle) to the Gulf of Mexico. The yellow line is the path of the dredging in 2009. The Brazos River lies four miles to the east.